Rothfield Legal Recruitment provide specialist recruitment services for the legal profession. 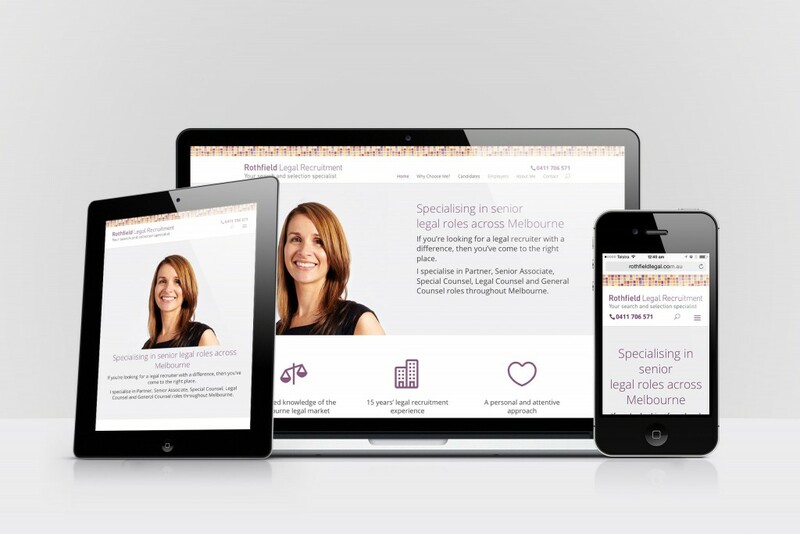 Run by Rochelle Rothfield, not only is she a solicitor herself, but she has over ten years experience recruiting in the Melbourne legal market. Rochelle wanted to replace her existing site with something more professional, whilst still using the existing branding elements that she had in place. Using WordPress, I put together a site that was not only attractive, but extremely easy for her to update, should the need arise. The site is also responsive so it looks great on desktop computers, tablets and mobile devices. Rochelle also engaged the services of a talented copywriter to make sure that her content was coming across as best it could.